Hiring a generic web designer is daunting and laden with constant interruptions to your business because they have to first learn your business before they can be effective. Our extensive background in the wedding industry makes us the best candidate to not only design a site that will resonate with your website with your wedding couples, but do so with insight from the very beginning. The end result will be a much smoother process and you being left alone to run your business. Would you like a free 15-minute analysis of your website? You’re ready for a website that proves to your clients you’re going to give them the positive and unique experience they’re craving. One that puts your best face forward. But most importantly, one that helps you get to the next level of your business potential. And this is where we step in to help you. After we finish your website, you’ll receive high quality leads from clients that contact you already trusting your expertise and not questioning your value. If you want to transfer your current website to a more modern platform, our team will present 3-4 templates to you from your industry to choose from. 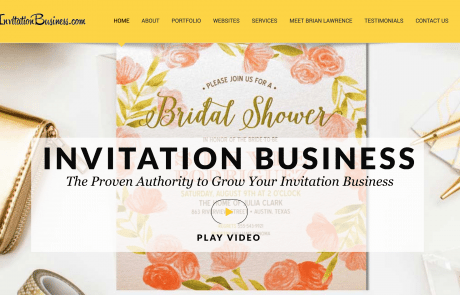 These websites are created in collaboration with wedding marketing expert Alan Berg and include the best industry website marketing practices, including our basic SEO package. You may also provide new copy and imagery. Any of these demos can be formatted for any type of business. • Easy-to-use platform to add blog posts, events, etc. Finally, your site will be Alanyzed by wedding industry marketing expert Alan Berg. When we have completed the site, Alan will review and make final recommendations to perfect your site before we submit it to you. Are you interested in our other digital marketing services?